Used 2018 Ford F-150 XLT SuperCrew 5.5-ft. 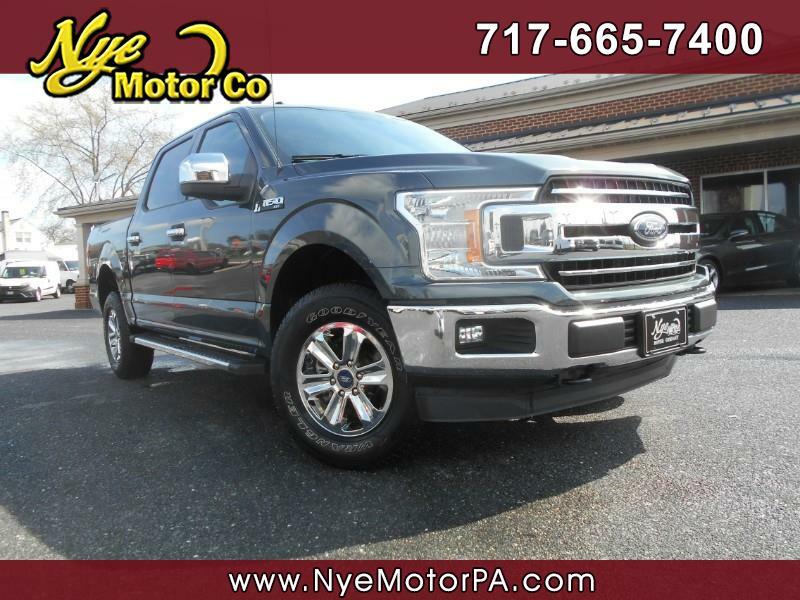 Bed 4WD for Sale in Manheim PA 17545 Nye Motor Co.
****1-OWNER****CLEAN VEHICLE HISTORY REPORT****LIKE NEW****RARE COLOR****BEAUTIFUL****MUST SEE & DRIVE**** Absolutely beautiful 2018 Ford F-150 XLT with only 21K miles! Outfitted nicely with Sync, Bluetooth, Cd, Back Up Cam, 12V Port, Steering Wheel Mounted Controls, Automatic Headlights, Cruise, Tilt, Bed Liner, Running Boards, Seating For Six, Power Options, and More! under the hood sits a precision tuned 5.0L, V8 engine, Paired to a smooth shifting automatic transmission. Call today to schedule your test drive.